Colorado's craft distilling scene is achieving new heights. 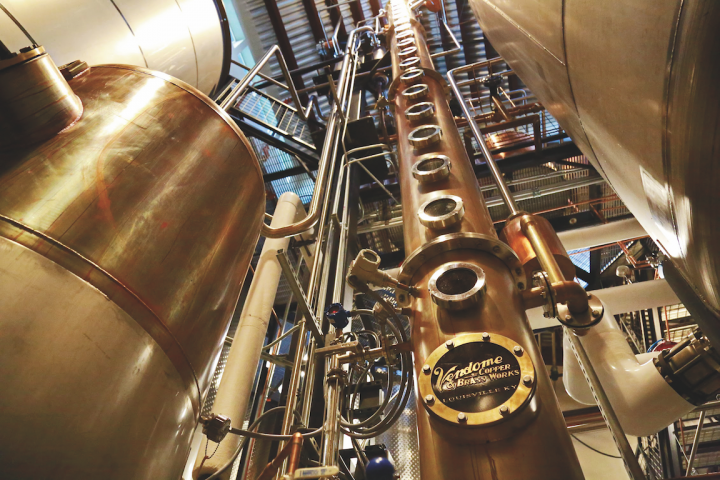 Colorado spirits are rising in prominence, both on- and off-premise. Bottle Shop 33 in Denver (shelf pictured) stocks over 100 Colorado spirits brands, and at least one of the top five offerings in every spirits category is from the state. At a stylish, wood-laden restaurant that doubles as a whiskey destination, 15 Colorado spirits generate 5% of spirits volume. The venue’s top-selling gin is Spring 44 ($10 a 2-ounce pour), while Stranahan’s Rocky Mountain single malt whiskey is also a strong seller ($20). This may sound like a nice place to cool off after a bike ride in the Rockies—and yet it’s American Whiskey in Manhattan, near Madison Square Garden. “Colorado leads the pack in spirits that our customers request, Kentucky and Tennessee notwithstanding,” says Kevin Hooshangi, managing partner of the restaurant. Indeed, Colorado spirits are making inroads everywhere. More than 90 licensed distilleries operate in the state, according to the Colorado Distillers Guild (CDG). An American Craft Spirits Association report released last year ranks Colorado as the nation’s fifth-biggest state in terms of the number of craft distilleries. The data estimates craft spirits’ share of the U.S. spirits market at 2.6% by volume and 3.8% by value. The market share of Colorado’s local spirits within their home state isn’t officially quantified, but it’s certainly far higher than that. 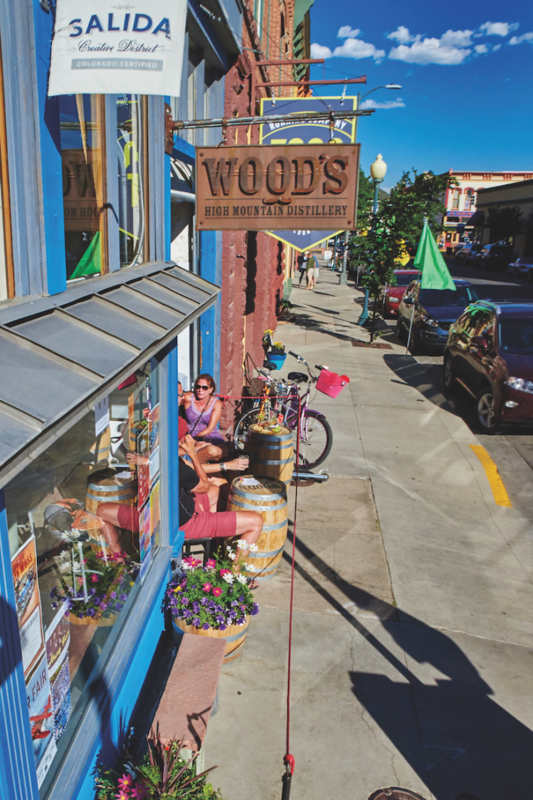 Thanks to favorable laws and strong leadership, Colorado's craft distilleries, such as Wood's High Mountain Distillery in Salida (tasting room exterior pictured), are able to reach consumers in a variety of ways. Colorado’s rich history of unlicensed distilling goes back to the Gold Rush, yet Stranahan’s kicked off the state’s current distilling renaissance in 2004. Founder Jess Graber’s gumption is part of what made the brand an instant local hit. 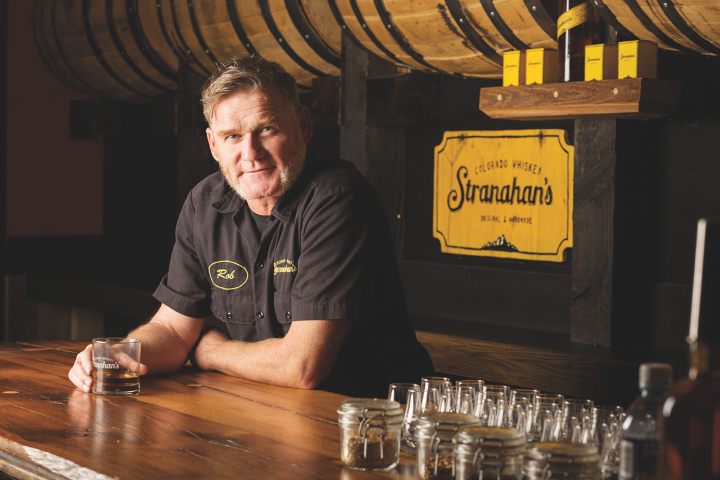 Grassroots marketing and a volunteer bottling line made Coloradoans feel they were part of the brand-building process, according to Rob Dietrich, master distiller at Stranahan’s, which was purchased by Proximo Spirits in 2010. Since then, the Colorado craft spirits scene has exploded with distilleries and flavor profiles, but the spirits do have something in common. “Our Rocky Mountain snow melt gives all Colorado spirits a purity, and our state produces high-quality agricultural products,” Dietrich says. Colorado’s assets go beyond its natural resources. 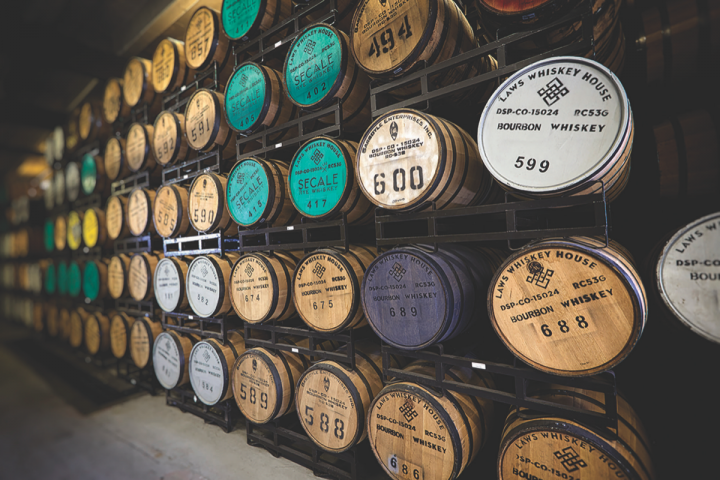 “Other factors that make Colorado the vanguard in distilled spirits include the leadership of the craft brewing industry and laws that make it profitable to distill commercially,” says P.T. Wood, co-owner of Wood’s High Mountain Distillery in Salida, which produced 1,800 cases of spirits last year, including the flagship Tenderfoot whiskey ($47 a 750-ml.) and Treeline gin ($32). State law allows distillers two tasting rooms, the option to self-distribute, and a unique distillery-pub license for businesses with an on-premise focus, Wood explains. Through its lobbying, the CDG played an instrumental role in gaining these allowances, which are particularly helpful for startups. 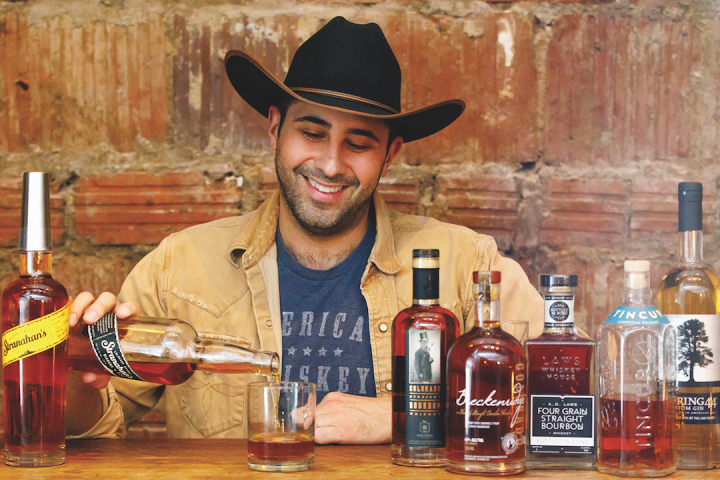 “For small distilleries, direct-to-consumer sales are very significant, building revenues and brand awareness,” says CDG president Sean Smiley, who’s also head distiller at State 38 Distilling in the gold rush town of Golden. Smiley founded State 38 in 2013, and like most distillers, recalls the days of delivering bottles to on- and off-premise accounts himself. State 38 produced 2,000 cases of spirits last year, including its The Clever Jack Blanco agave spirit ($35 a 750-ml.) and DC Loveday Bourbon ($45). On a national level, the 2017 federal tax reform bill included a two-year reduction on the federal excise tax on the first 100,000 proof-gallons a distiller produces. Colorado distillers say the money they save will go right back into their capital-intensive businesses and allow them to hire staff and buy equipment. Many plan to expand production this year. “Coloradoans are natural entrepreneurs, particularly in the mountain towns, where people often work several jobs,” adds Wood, who’s also the mayor of Salida. Craft brewing led to craft distilling by laying the groundwork for high-quality agricultural products and a ready-made market of adventurous consumers. “You need beer to make whiskey and wine to make brandy, and Colorado breweries and wineries started that conversation with the state’s farmers and fruit growers,” says Davy Lindig, head distiller at Peach Street Distillers, which opened in Palisade in 2005. “Craft beer also whetted consumer interest in craft spirits.” Peach Street produced 4,000 cases of spirits last year, led by its Colorado straight Bourbon ($63 a 750-ml.) and Jackalope gin ($33) labels. Alan Laws, founder and president of A.D. Laws Whiskey House, established in Denver back in 2011, credits Coloradoans for creating a strong home market. “Colorado’s consumers care about nuances, uniqueness, and quality,” Laws says. “The state’s distillers are meeting that demand, and they have to be great, or they won’t be around long.” Laws Whiskey House, which produced 5,000 cases last year, markets its flagship Four Grain straight Bourbon and Secale straight rye (both $65 a 750-ml.). Support for local spirits is strong in both the on- and off-premise throughout the state, from major cities like Denver and Colorado Springs to rural areas and mountain towns. “Colorado craft spirits exploded onto the scene, especially in Aspen and other mountain towns like Telluride and Crested Butte,” says Brad Smith, managing partner of the Red Onion in Aspen, which was established in 1892. The restaurant’s two best-selling Colorado spirits are Woody Creek rye ($9 a 2-ounce pour) and Woody Creek vodka ($9). Marble Distilling vodka ($8) is also a strong seller and an après-ski staple in the Roch Run Bloody Mary ($11). Bottle Shop 33 in Denver stocks 103 Colorado spirits, shelved within their respective categories and marked with Colorado flags. The store’s two top-selling Bourbons are both from Colorado: A.D. Laws Four Grain straight Bourbon ($66 a 750-ml.) and Breckenridge Bourbon ($48). The No.-1 rye whiskey, 10th Mountain Rye ($47), is also Colorado-made. Elsewhere, Cap Rock gin ($30) and Leopold Bros. Rocky Mountain Blackberry whiskey ($35) are also strong sellers. “Since we opened in 2015, at least one Colorado spirit has a spot in the top five spirits in every category at the store,” says manager Christina Mau. “That shows how Colorado spirits are taking a bite out of the national players.” Although Colorado permits its distillers to distribute their spirits to in-state accounts, Mau orders 94% of the store’s Colorado spirits from major wholesale companies—which feature local products alongside the national and global players in their portfolios. At Molly’s Spirits in Lakeside, Colorado-made spirits comprise 10% of the store’s spirits sales by volume and 250 of its 3,000 spirits SKUs. Three of its 25 highest-volume spirits are from Colorado: Breckenridge Bourbon sells 15 cases a week ($40 a 750-ml. ), Stranahan’s Rocky Mountain single malt whiskey ($55) sells 3 cases a week, and Tin Cup American whiskey ($30), also from Proximo, sells 11 cases a week. “Colorado spirits are a growth category, and their volume has doubled since we opened in 2014 with 100 Colorado spirits SKUs,” says managing partner Rufus Nagel. Still, he says, Colorado spirits aren’t eating away at the national brands’ sales because the store’s total spirits volume is also climbing. At Molly’s, 80% of the Colorado spirits come through major wholesalers. 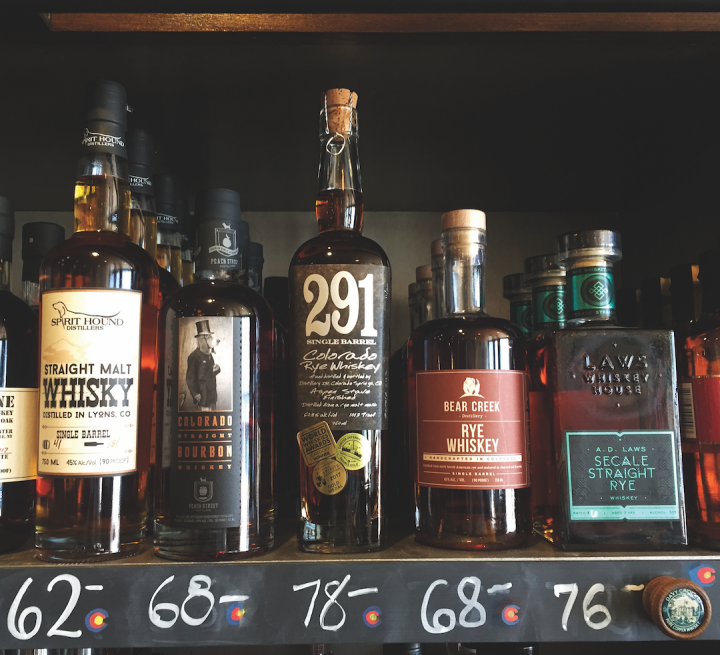 Like many of Colorado’s large retailers, Molly’s has a dedicated Colorado spirits aisle, which benefits the state’s small distilleries, according to Dietrich of Stranahan’s. As customers enter Molly’s, they see 100 linear feet of Colorado spirits, almost all single facings. In addition, the bottles are shelved in their respective categories, further increasing visibility. Nagel says customer awareness is high, and they’re no longer surprised to see Colorado spirits featured at Friday and Saturday tastings. Molly’s is the exclusive retail sponsor of the Colorado Spirits Trail, which launched in February, and the store was among the first to offer state maps with distilleries featured among ski resorts, National Parks, bike trails, and historic sites. Trail ambassador Dawn Richardson conceived the program to generate revenue, much like the Kentucky Bourbon Trail, and procured a grant from the Colorado Department of Tourism to make it happen. The trail encourages tourists and locals to incorporate distillery visits into their adventures. Richardson owns Rising Sun Distillery in Denver, which produced 500 cases of spirits last year, including Rising Sun Colorado Chili liqueur ($30 a 750-ml.). Most agree that buying industrialized spirits and finishing them in a craft style is not craft. “Craft producers need to start from raw materials and both ferment and distill them—with the possible exception of gin,” says David Matthews, head distiller and vice president at Woody Creek Distillers in Basalt. He adds that transparency in labeling is key. The distillery, founded in 2012, produced 35,000 cases of spirits last year, including a potato vodka ($29 a 750-ml.) and a Colorado straight rye whiskey ($45). Brian Nolt, founder and CEO of Breckenridge Distillery in Breckenridge, agrees that the financial risks and cash demands are daunting, and adds that the learning curve and stiff competition make it even harder. Breckenridge makes Bourbon ($44 a 750-ml. ), vodka ($27), rum ($27), and gin ($28), with total production hovering around 55,000 cases last year. “The level of competition isn’t for the faint of heart, and you can go broke in a hurry if you’re trying to compete with the titans of the spirits industry,” Nolt adds. He opened the distillery in 2007. 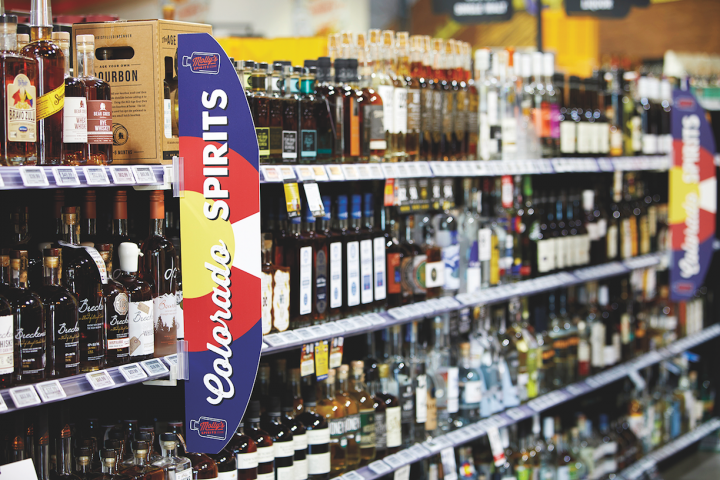 Even competing on their home turf may become more challenging for Colorado distillers after a 2016 bill was signed that allows the state’s pharmacy-licensed grocery stores to apply for additional liquor licenses. As the law phases in over several years, smaller-scale distillers worry they may be pushed out of key off-premise accounts, since national chains seldom focus on local products. “Like many other Colorado craft distillers, I launched my business under a certain set of laws, and now those laws have changed,” says State 38’s Smiley. Today, there are more than 90 licensed distillers throughout Colorado, including Denver's A.D. Laws Whiskey House (rackhouse pictured). In terms of predicting where Colorado’s distilling industry is headed, most look to developments in the state’s brewing industry for answers. Many say distilling will follow a similar trajectory. “The craft brewing industry had its booms, plateaus, and busts, and craft distillers will probably see the same pattern,” says Peach Street’s Lindig. He predicts growth as well as some attrition. Breckenridge’s Nolt says spirits may even surpass beer’s rapid trajectory. “As consumers evolve, the expectation is that craft spirits will outpace the early gains made by craft beer relative to big beer, and become a serious threat to the current order,” he says. Nolt also foresees increased investment in Colorado distilleries in the form of minority holdings or mergers and acquisitions.